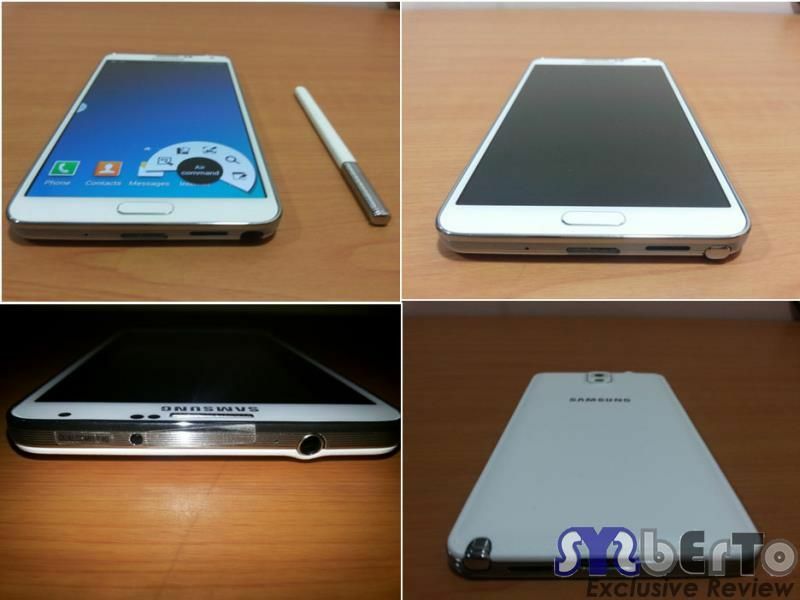 After huge success of Galaxy S4 and other varients of S4, Samsung pushed out new Galaxy Note 3 that’s practically great combination of Galaxy S4 and previous Note 2 device. 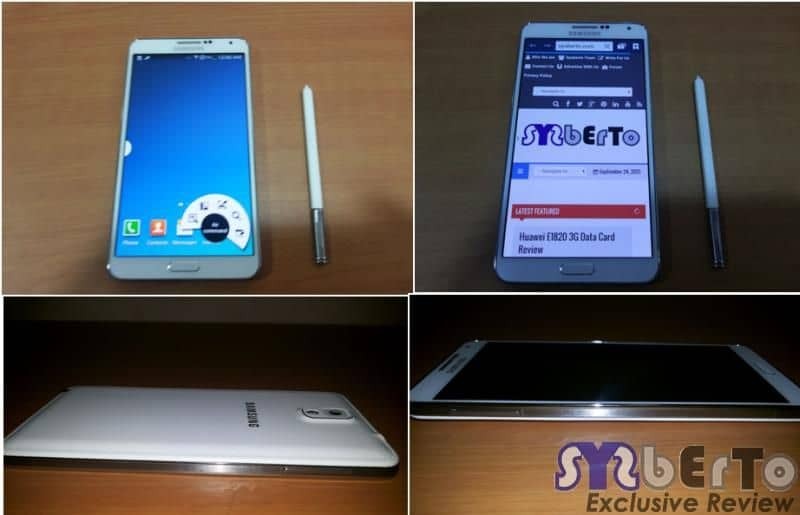 We already told, what new products are launched by Samsung and now we got hands on : Galaxy Note 3 based on Qualcomm 4G version (Quad Core) which is having much bigger screen and extreme sharp display than previous Note family devices. There are 2 varients available to buy: Exynos Octa-core and Qualcomm 4G (Not applicable to Indian Region as per sources) We have got hands on Quad core Qualcomm and soon will show Comparison with Exynos too. A detailed video review will be done in upcoming few days with new testing on the device including benchmarking, speed test, hardware, battery, etc. 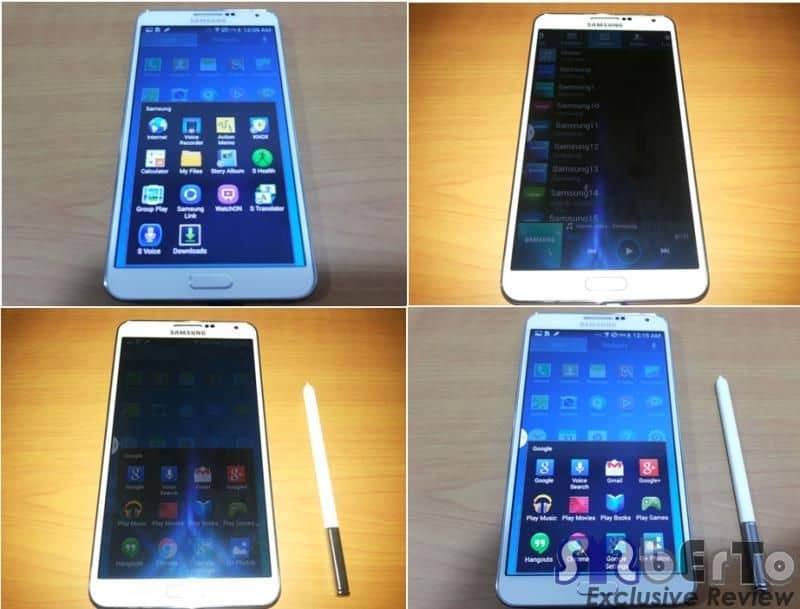 Basically Note 3 is phablet device having 5.7 ” AMOLED display with 1920×1080 resolution. With 8.3mm slim and 168g light in weight compared to Note 2. You will neither feel that much big nor bulky to put in your pocket as it’s very light in weight than Note 2 device. The device is feature packed with hardware/features of Galaxy S series(specially S4) like this one have IR Blaster. Android v4.3 powered Note 3 comes with 3200mAh battery and 2.3Ghz quad-core processor (4G version), or 1.9GHz Octa Core (3G) with 3GB of RAM makes multitasking much smoother than any other device. If we talk about graphics, then it’s packed with Adreno 330 GPU which can run 1080p videos lagfree and you may play huge GPU resource games without slowing your device. There are only 2 options available in storage: 32GB and 64GB where you have SD card slot to expand your external memory with SD card too. 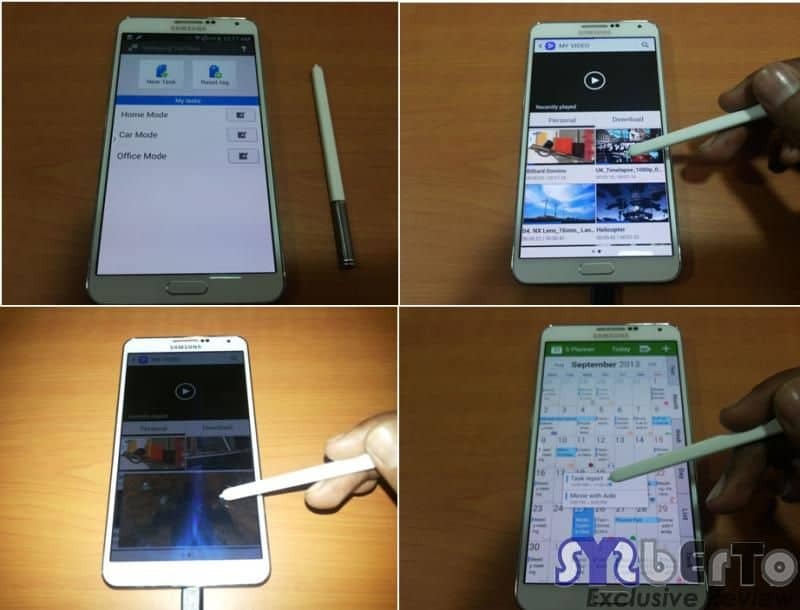 Touchscreen and Touchsense lot improved and much more sensitive so that you may use Air View features with S-Pen and Fingers too as we saw on Galaxy S4. When you take out S-pen from device stylus slot, it will show you the pie-like structured interface to choose different S-Pen Apps to work with them. 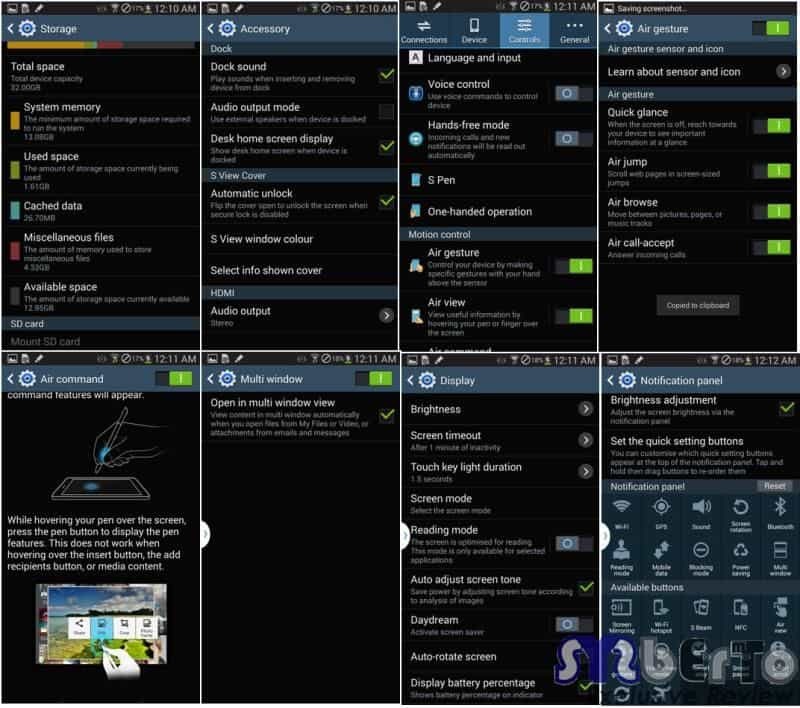 Galaxy Note family devices are designed and improved with many stylus with every new release and now we have comfortable, pie-controlling interface and ofcourse easierness in air commands like air view. Where, Action Memo is great addition to Memo segment where you may take notes quickly and convert them into text to use them as making calls, look up addresses in maps, searching the web and many more. With addition of action memo, Scrapbook lets you put your favourite Youtube links, web urls and pics in one place to organise them in better manner. Drama Shot, Sound & Shot, Animated Photo, Eraser, Best Photo, Best Face, Beauty Face, HDR (High Dynamic Range), Panorama, Sports, Golf, Surround shot and Live effect. With still photography, Note 3 makes a great video capturing with Ultra HD video at 30fps (Like 4K Quality) where it is highest availble resolution that can be of 90~110 MB/ 15 sec as per our testing. 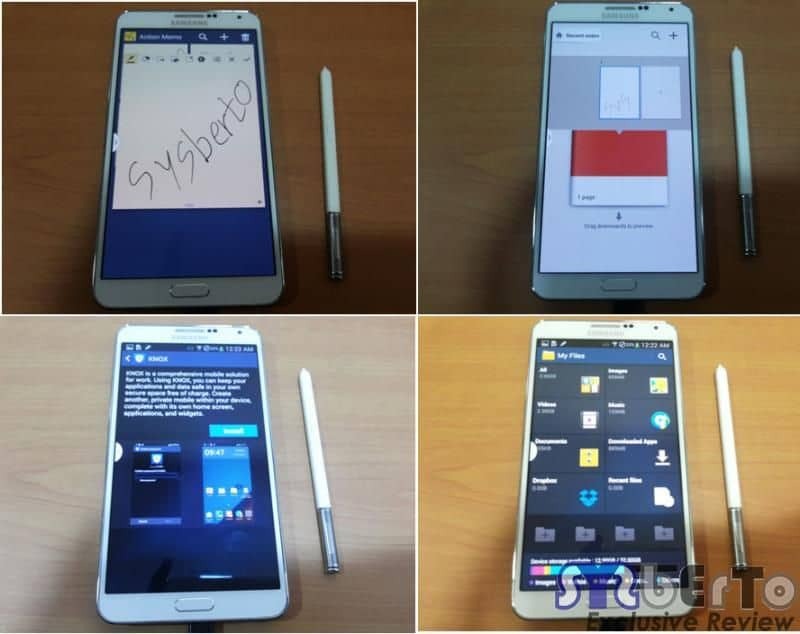 This time you may use S-Pen to operate Physical keys (Option and Back key) on Samsung Galaxy Note 3. As usual there is 3.5mm audio jack to plug in earphones but there is new sensor addition “IR Blaster” as we saw it first on Galaxy S4 device to control different devices with your own phone as like Universal Remote. 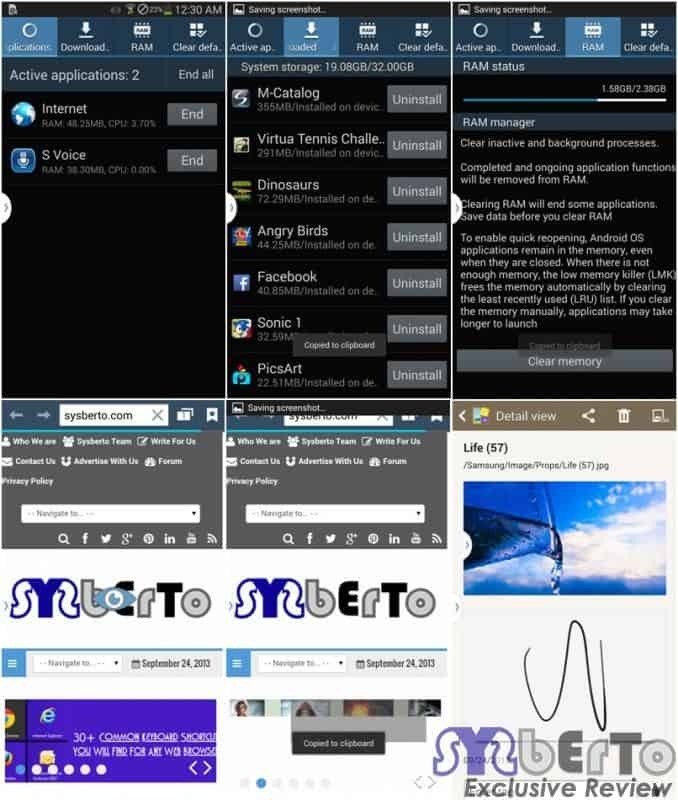 Now you may use single app 2 times within Multi-window to use it properly and videos are played in Multiwindow or portable in manner if you set it from the device settings menu. There is improvement in Samsung Stock File Manager than previous versions. 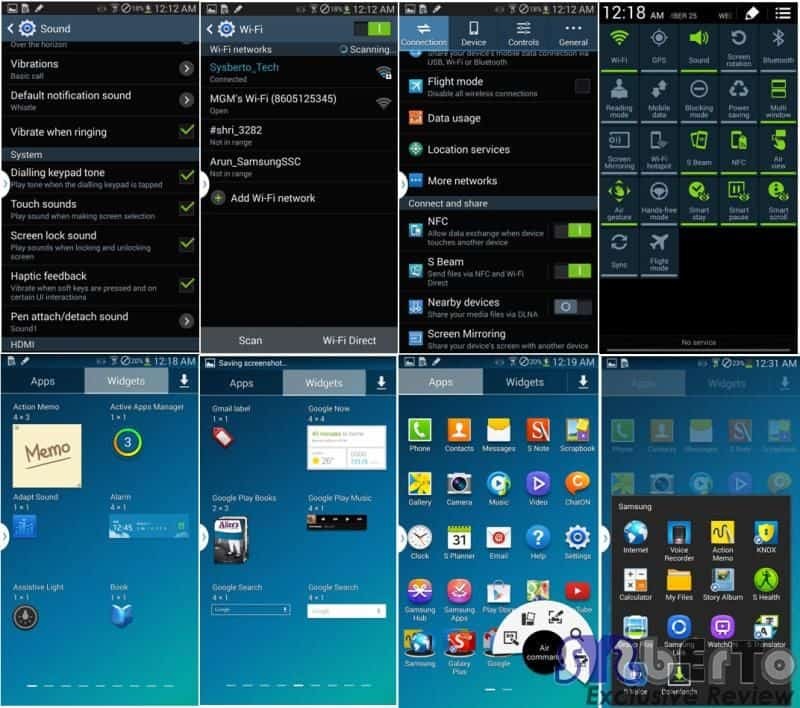 In terms of security, Samsung KNOX is added with Note 3 for better security of your device. As compatible with S-view cover and Galaxy Gear, Note 3 will be the best smartphone in phablet range. 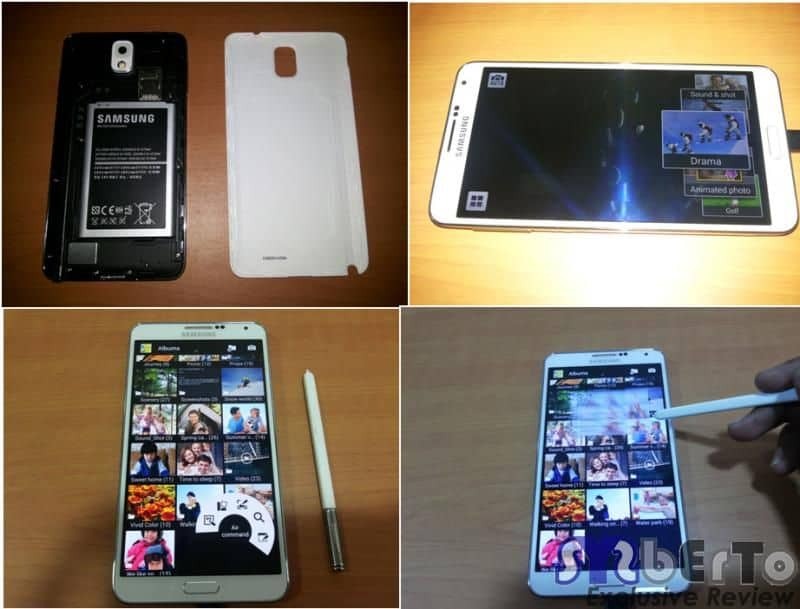 From given images, it’s clear how Note 3 looks damn slim having power button and volume buttons on sides of device. We saw a new thing on back of device i.e, thin leather like textured and faux stitching adds premium feels to user showing the quality and durability of it. Device is ultimately much slim as of 8.3mm as compared to competitors like Xperia phones but not that of iPhone! In the bottom side we got S-Pen stylus docked into the grooved metal rim and new USB slot connection as per shown in images for multi-purpose use. Overall, Galaxy Note 3 is quite big in sized device but when you take it in your hands you won’t feel much difference also same for putting it in your pocket though. Design and build quality is improved with much light in weight and tons of features are added that we will show you in upcoming videos soon! Device is available for about 900~950 $ that looks much costly but this will be surely better than its predecessors family devices.